United Nations Security Council Resolution 2231 - Passed 20 July 2015. ↑ "UN Sanctions". Department of foreign affairs and Trade. Australia. Retrieved 16 March 2013. 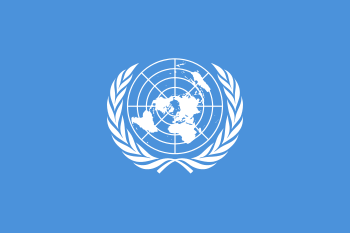 ↑ "Security Council Committee established pursuant to resolution 1737(2006)". United Nations. Retrieved 14 September 2007. ↑ "Security Council Tightens Restrictions on Iran's Proliferation-Sensitive Nuclear Activities, Increases Vigilance Over Iranian Banks, Has States Inspect Cargo". United Nations. Retrieved 20 September 2009. ↑ Australia Imposes New Broad-Ranging Sanctions Against Iran, Department of Foreign Affairs and Trade, Australia, 29 July 2010. ↑ Canada Passes Sanctions under the Special Economic Measures Act, 26 July 2010. ↑ Japan approves new Iran sanctions, Al Jazeera, 3 September 2010. ↑ http://www.csmonitor.com/World/Asia-Pacific/2010/0908/South-Korea-sanctions-Iran-under-US-pressure, The Christian Science Monitor, 8 September 2010. ↑ "Russia pulls plug on Iran arms deal". Upi.com. 22 September 2010. Retrieved 4 April 2012.